A council has come under fire for using a "deeply offensive" image to represent a transgender person in an online survey. Essex County Council chose a cartoon image appearing to show a "miserable" male removing a wig for the transgender option on the form, which was asking residents about proposals to close a third of its libraries in the next five years. The document asks readers to tick a box labelled man, woman, or transgender, with the corresponding clip art next to each option. 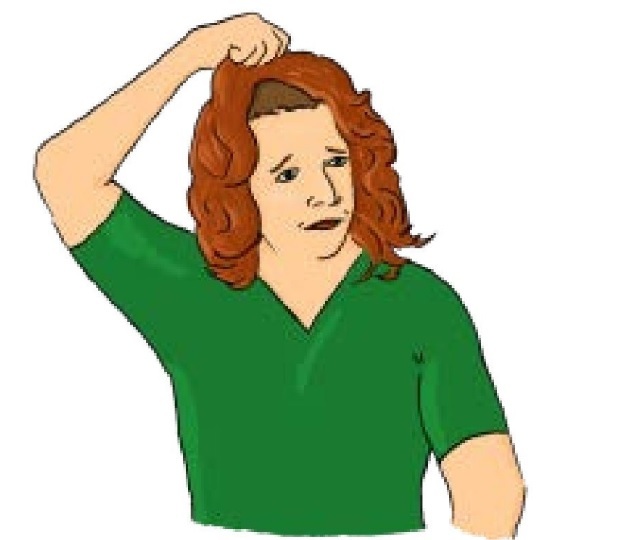 The clip art chosen for the transgender option on the form. A campaigner for Save our Libraries Essex, Liz Miles, complained to the council about the choice of image, and posted a picture of it online. “The clip art image is discriminatory and deeply offensive," she said. Replying to Ms Miles' post, Twitter user Tabby Adams, a transgender business analyst wrote: "I always thought Essex was pretty transphobic but this is just insulting. "Using a pic of someone removing a wig to represent a trans person! Just what were they thinking. Whoever did this and whoever signed off on this needs to be disciplined." I always thought Essex was pretty transphobic but this is just insulting. Using a pic of someone removing a wig to represent a trans person! Just what were they thinking. Whoever did this and whoever signed off on this needs to be disciplined. Defending Essex County Council's choice of image, a spokesman said it had been chosen to "help communicate with people with learning disabilities". "It was supplied by an organisation called Inspired Services, who work with people with learning disabilities to produce images for the Government and NHS England," the spokesman said.